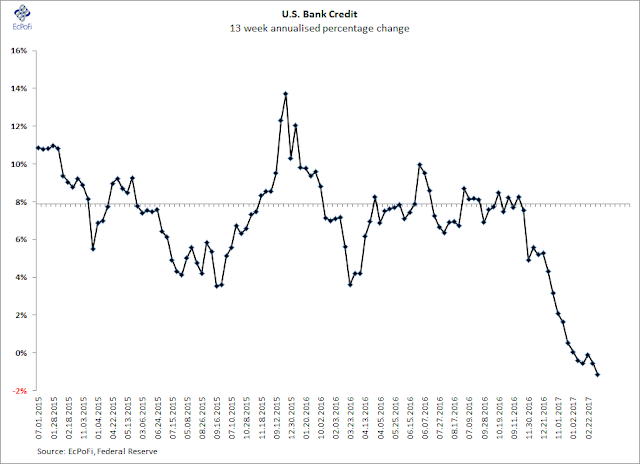 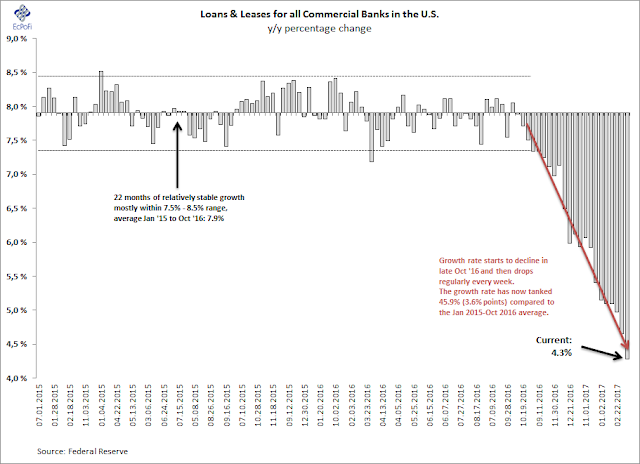 Following on from the article earlier this week and the money supply report this morning, bank lending growth tanked again this week. 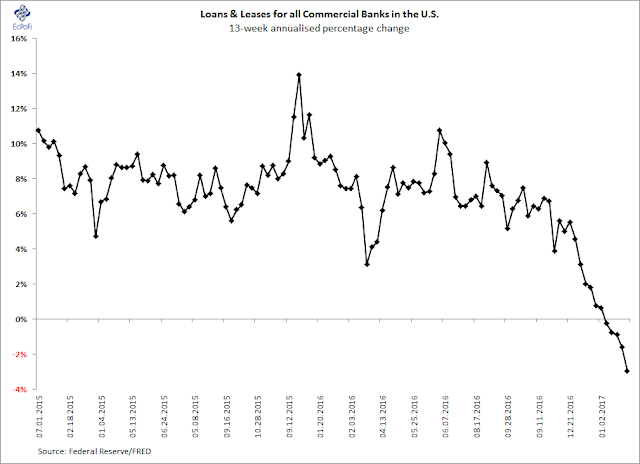 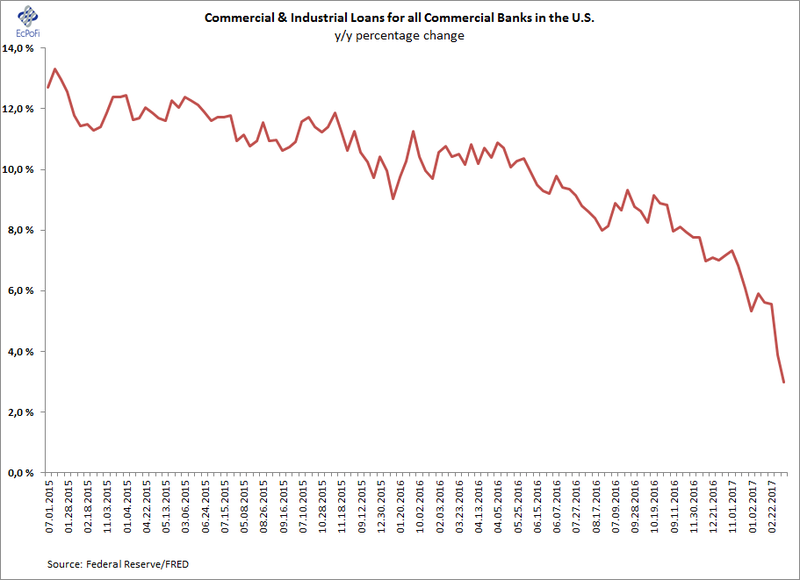 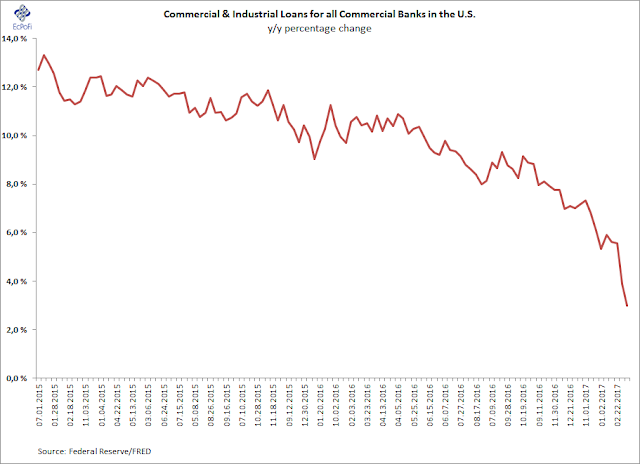 The drop was driven by steep declines in the growth of Commercial and Industrial lending. 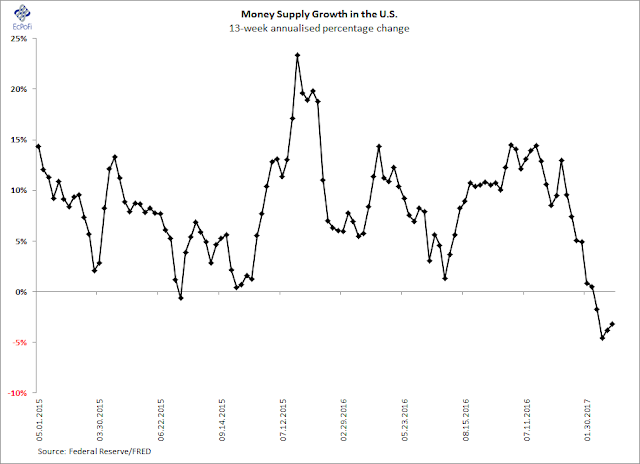 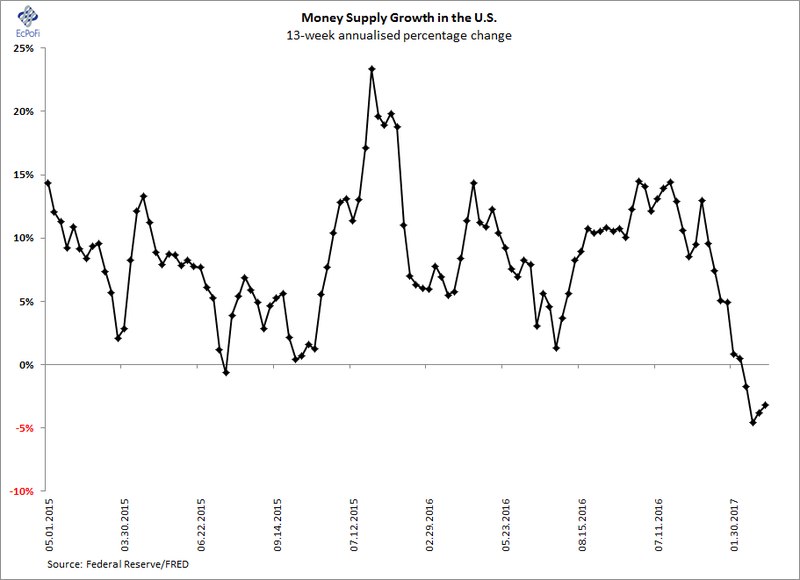 ...which then drags the money supply growth rate down with it. 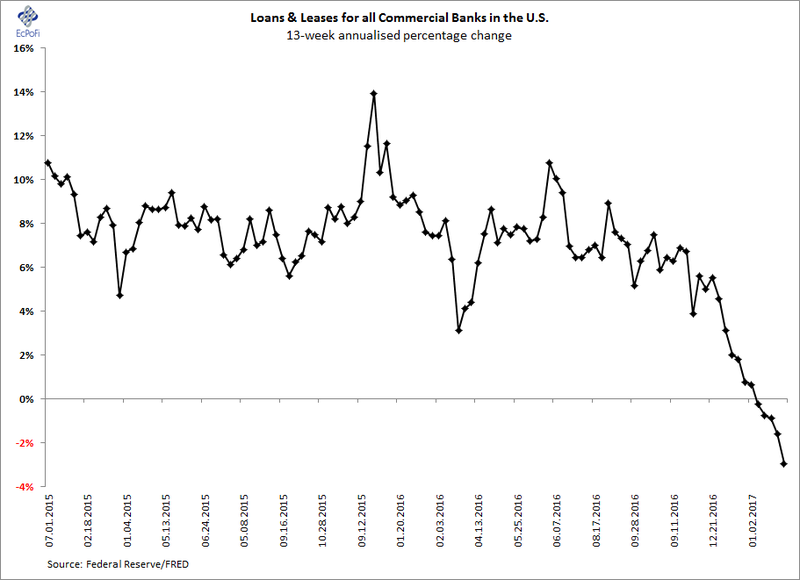 Though there are lags involved, red flags should by now be flashing for Austrian Business Cycle practitioners.